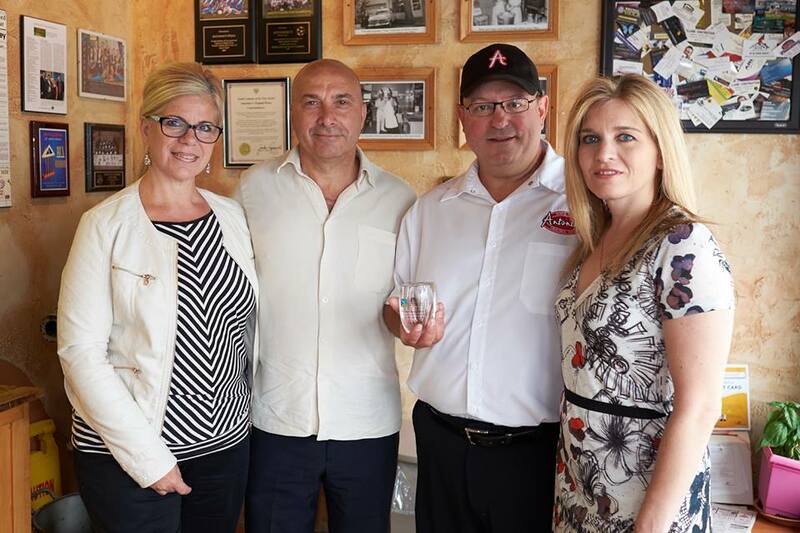 Throughout the month of May Antonino’s Pizza donated 10 cents for every vegetable topping ordered in support of the Canadian Mental Health Association, Windsor-Essex County Branch. Joe Ciaravino presented representatives from the CMHA with cheques totalling $1,200 as a result of the promotion. 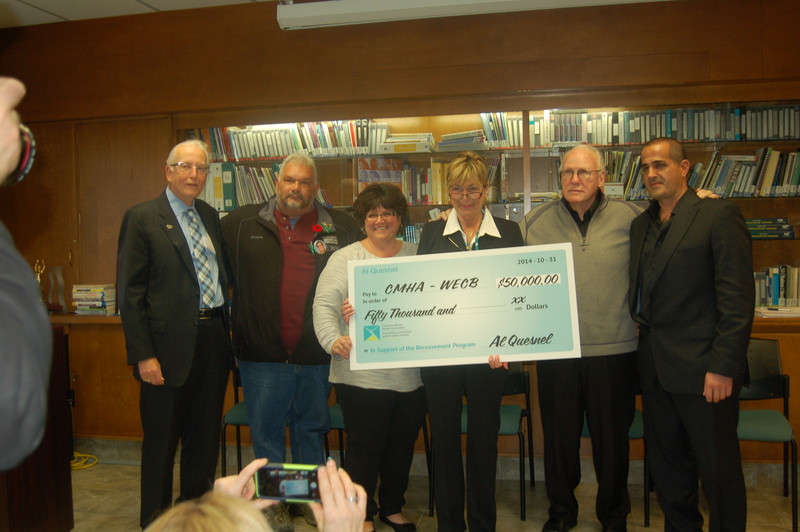 Local philanthropist, Al Quesnel donated $100,000 to the Canadian Mental Health Association, Windsor-Essex County Branch (CMHA-WECB). This major gift is one of the largest donations ever received by the organization. The funds will be used to support the CMHA-WECB Bereavement program. This unique program provides counselling services to over 600 adults and children living in the Windsor-Essex community. “We are extremely grateful to Mr. Quesnel for his extraordinary generosity. A gift of this magnitude makes an enormous impact at CMHA-WECB. His generosity will directly impact front-line services for individuals dealing with the death of a loved one,” says Mary Wilson, Acting CEO, CMHA-WECB.